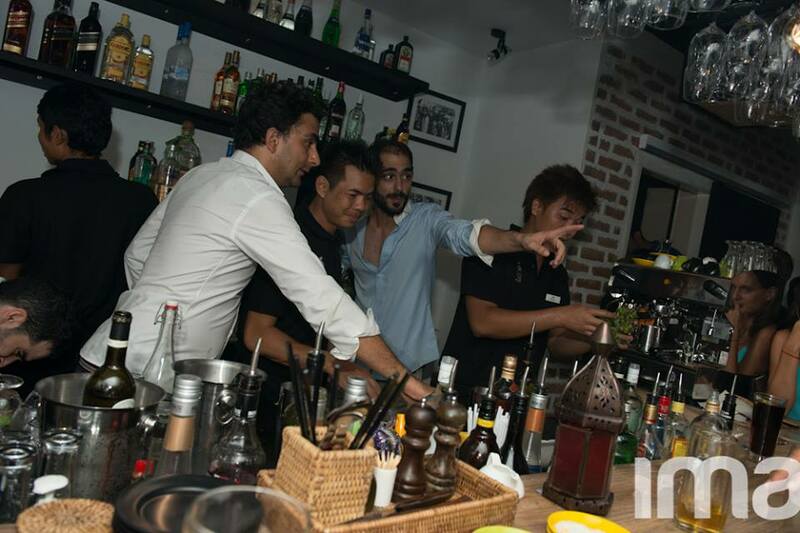 Amine Zlaoui and Raouf Baccouche spent last year’s Thingyan break travelling across Myanmar and during a particularly pleasant evening in Bagan, the Tunisian duo hit on an idea: to open Yangon’s first tapas bar. “We were having a few nice bottles of wine and suddenly we said, ‘You know what, let’s start a business together,’” Mr Zlaoui told Mizzima Business Weekly. 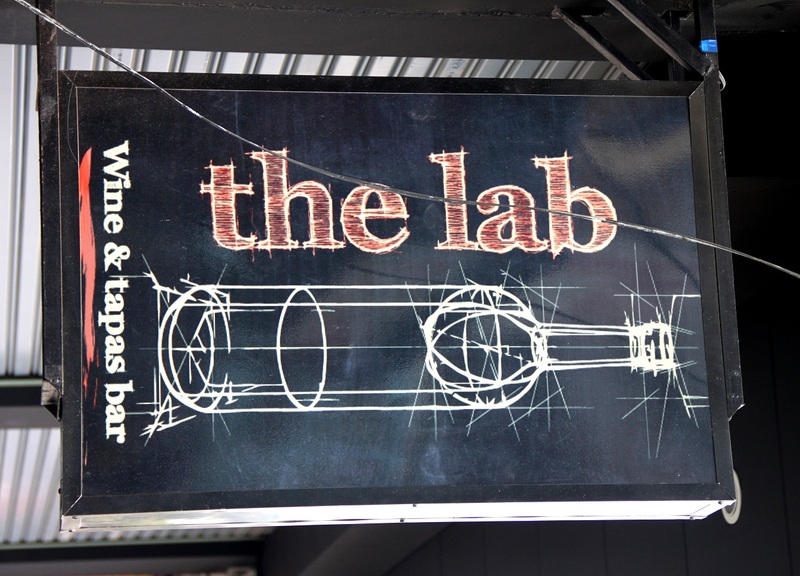 Almost exactly a year later, The Lab Wine and Tapas Bar flung open its doors to the public. A couple of hundred patrons poured into the medium-sized venue and its bar staff should be commended for somehow managing to keep up with the demand to pour them all a drink. It’s even more impressive considering that The Lab’s service staff were recruited just 10 days before its opening on April 25. “I know it’s quite hard to find skilled staff so I was stressed – but we were lucky,” Mr Zlaoui said. Whilst it’s still early days, both managing directors are unanimously confident that their staff are a cut above the rest among the hospitality industry. Each of the 12 employees were headhunted following some strong recommendations from their contractor and executive chef – who also happen to be brothers-in-law. Executive chef Thura (who also goes by Tom) spent 12 years working in kitchens in London and is no stranger to international cuisines. Other candidates were put forward by The Lab’s operations manager, who spent three years in Dubai and is now working alongside several of his former colleagues. “Most of our staff spent many years working abroad,” Mr Zlaoui said. Converting the former garments shop into a stylish night venue also went without a hitch, despite the fact that a kitchen, bathroom and water tank needed to be installed, a wall demolished and its drag white walls made over. The brick walls, chairs, tables and light fixtures are custom made, and made in Myanmar. “Renovations were finished in just six weeks because our contractor is excellent,” Mr Baccouche said. “Setting up any business in Myanmar isn’t easy – but as you can see it’s possible. In actual fact, our biggest problems weren’t related to Myanmar itself. It was the administrative side of things that took a lot of time. We’d had no advice about how to set up a company,” he added. 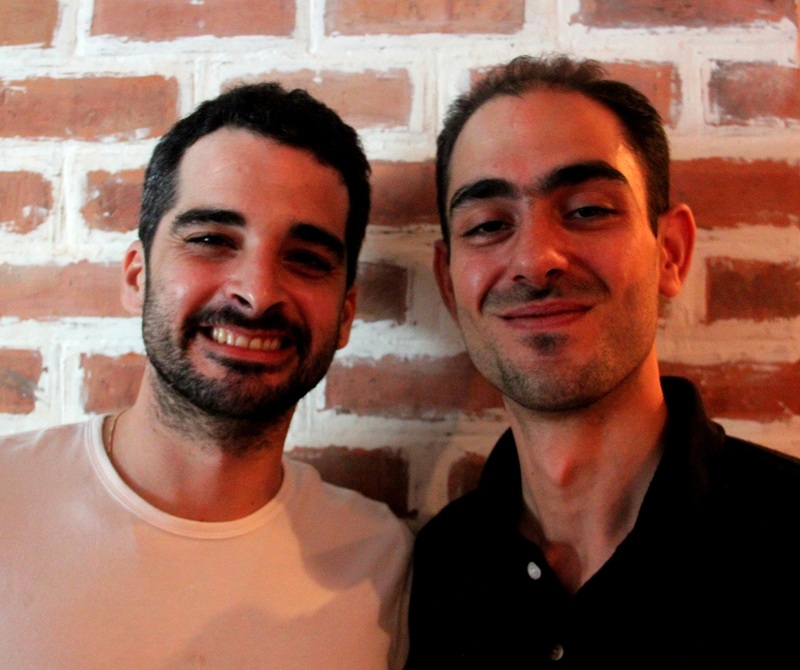 However the pair, who were raised in Tunis and have known each other since they were 15 and also later studied together in Toulouse, France, share a strong vision of what they’re offering their clientele: something that can’t be found elsewhere in Yangon – an authentic tapas experience with an international component. “Tapas isn’t a Spanish concept – it’s a Spanish word. The idea of bite-sized foods with a nice glass of wine also exists in Tunisia and other parts of Northern Africa, as well as France and the Middle East. But it’s known by a different name, such as mezze in the Middle East or kamia in Tunisia,” Mr Zlaoui said. 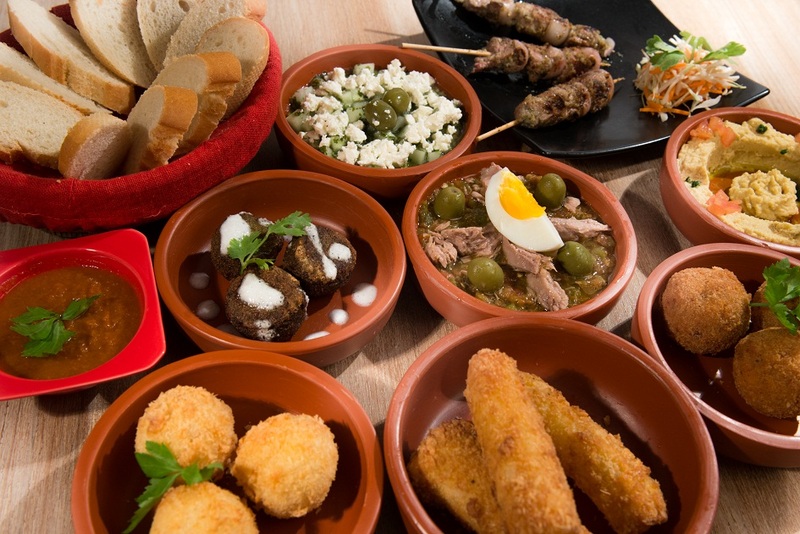 Tapas is well known for encouraging conversation, as diners may stand while sharing plates and aren’t focused on consuming an entire meal placed before them. “Sharing is caring,” Mr Baccouche said with a laugh. Needless to say, The Lab’s tapas selection, which at 26 items should please any palate, isn’t limited to Spanish cuisine alone. It also features scrumptious samples of North African fare, such as Mechouia salad with tuna chunks (K3,500), Middle Eastern classics such as falafel (K3,500), houmous (K,3000) and baba ghannouch (K3,000), as well as European, Asian and American. “Yangon has virtually nothing in the way of Middle Eastern food, so we really wanted to bring that here,” said Mr Baccouche. Ditto for the music, which are Middles Eastern and African beats. There are also plans in the works to have a Burmese guitarist play acoustic sets from 6.30pm during the week, and further down the track, on weekends as well. For the foreseeable future, The Lab is only open for dinner – from 5.30pm until late. “Firstly, I don’t believe in tapas for lunch. And I don’t think it would be worth it because The Lab is in a busy area and parking is difficult. So for now we’re focusing on nights. But if operations run smoothly we could do a Sunday brunch. I’d really like to be able to do that,” Mr Zlaoui said. The only compromise made on classic tapas dining is not displaying every item on a platter for customers to peruse – a decision made necessary for financial reasons. Almost all The Lab’s produce is sourced locally and arrives fresh every day from the markets, whether it be the squid, shrimp, pork, beef, chicken or veggies. The cold cuts – Italian prosciutto and salami – are imported, as is salmon and tahini, as no other alternative yet exists. Fine cheeses will be added to the menu in around a month’s time, and the entire menu will change as regularly as the seasons. The Lab is closed Mondays, but on the other six days of the week there’s a two-for-one happy hour for cocktails from 5.30pm until 7:30pm. Its wine selection includes 14 standard wines, seven of which are offered by the glass, plus two of the sparkling variety, the latter of which are produced using the champagne method of double fermentation (K28,000). There’s even champagne itself: a bottle of the best bubbly will set you back K80,000 or 90,000. Something emphasised above all else is that The Lab aims to provide a new experience – not just during the first visit, but continuously. Its logo has more than a passing resemblance to laboratory equipment sketched in the shape of a wine bottle, and the branding is deliberate. “Our concept is new and people have responded well to it, which is great,” Mr Baccouche said with a grin. The Lab is at 70/A Shwe Gon Daing Road, Bahan Township, Yangon.